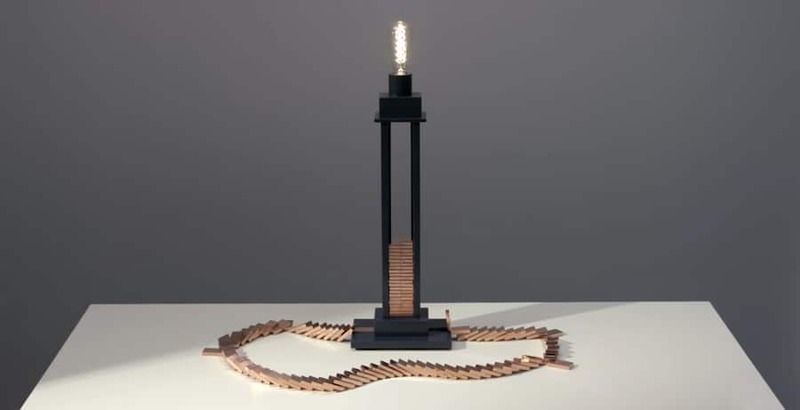 Why simply flip a switch when you can turn on a lamp with a domino chain reaction instead? 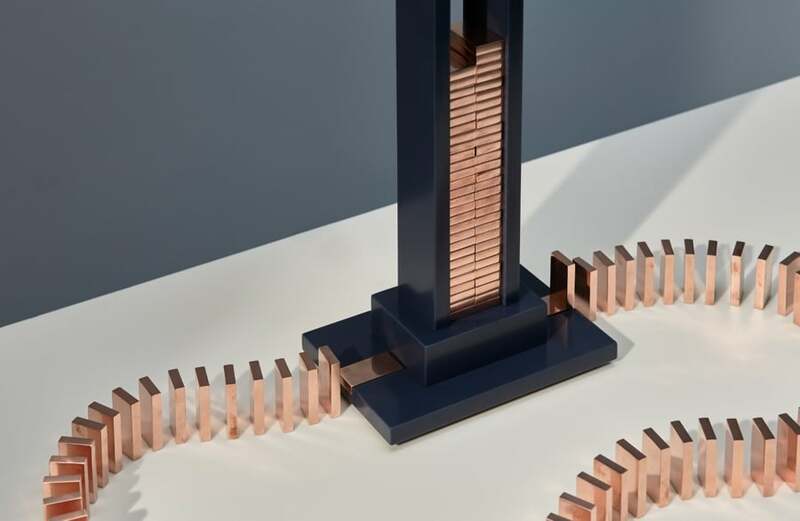 This is a copper domino light created by London-based design studio Glithero. 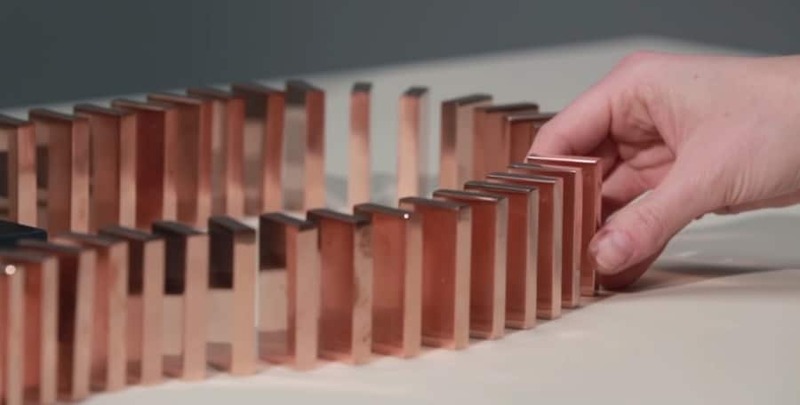 Tip over the first conductive copper switch, the ‘rocker’ domino, to watch the rest fall one by one in any configuration. When the last domino meets the copper strip, a ‘receiver’ domino, on the other side of the lamp base, as long as all of the dominoes are touching, the electrical circuit will complete and the will lamp turn on. A lovely mix of science, technology, product design, and play. It may also spark an idea for making your own conductive domino chain reaction project. What happens when your domino circuit completes? Next: Draw circuits with conductive ink, Electric Dough Playdate and how to build a light bulb. Plus: The surprising interactions between copper and neodymium magnets and materials science with EUPHRATES.